Rugged temperature recorder will record temperatures for a 5 day period once the recorder is started. 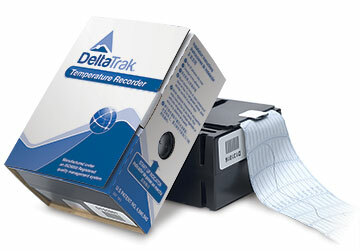 A strip chart with recorded temperatures is immediately available once recording ends. Temperature range = -20 - 100 °F with +/- 2 °F accuracy. Calibration of temperature is traceable to NIST.